Like most makeup hoarders, I have tons and tons of little foil pouch samples. 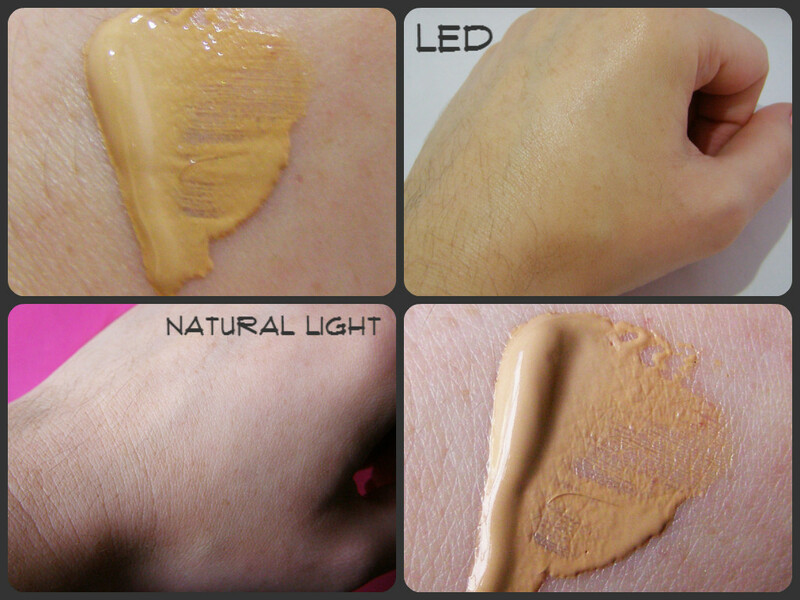 Lotions, perfumes, foundations...tons and tons. In an effort to thin out my stash, I've decided to try these out. Some of them are really not for me. 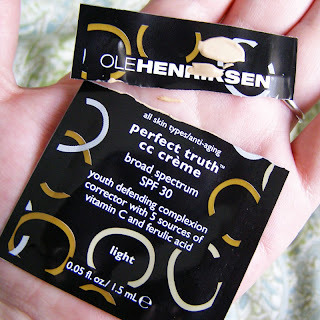 The Ole Henriksen Perfect Truth CC Creme was one of those. I actually liked this cream. It's silky and easy to rub in. There was no cakey finish or weirdness. I don't really feel like it gave me heavy coverage and it didn't settle into my pores or fine lines. It had a really strong scent that I actually found pleasant. Like perfume or flowers, but fresh and clean. Thankfully it disappates quickly once on the skin. 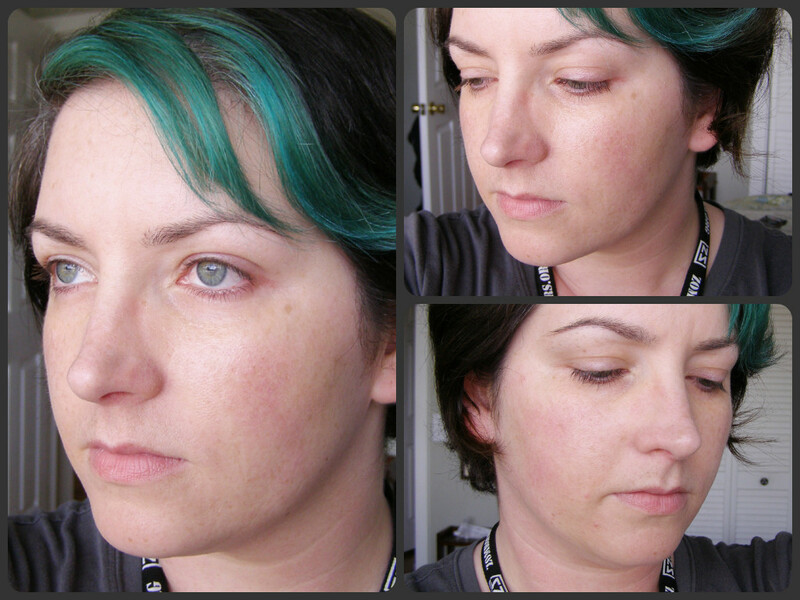 It has a nice dewy finish, and sitting here several hours later it hasn't gone oily and weird like a lot of BB/CC creams like to do. on my face under LED lights? tired face, messy brows, and broken-out skin. Keepin' it real.